Why Choose Washburn University's Diagnostic Medical Sonography Program? 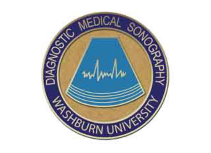 The Washburn University Diagnostic Medical Sonography program is accredited by the Commission on Accreditation of Allied Health Education Programs (www.caahep.org) upon the recommendation of the Joint Review Committee on Education in Diagnostic Medical Sonography. Washburn University is a participant in the SARA initiative, which is a state-level reciprocity process aimed at making the effort to obtain state authorizations more efficient for institutions and to make it easier for students to enroll in distance education programs outside of the states in which they reside. Institutions that are members of SARA are authorized to provide education to students from all SARA member states. States and institutions that choose to become members of SARA operate under a set of policies and standards that are overseen by the National Council for State Authorization Reciprocity Agreements (NC-SARA) and administered by four regional higher education compacts. For a map showing SARA membership by state, please visit http://nc-sara.org/sara-states-institutions.